A technology start-up run by two Cambridge physics graduates is working with a major UK-based international contractor to develop a method of testing concrete strength using “Internet of Things” sensors and processing. 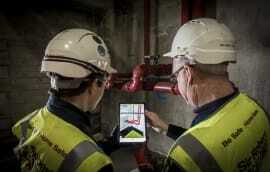 Converge was set up last year to exploit data being generated by sensors on construction sites. It has developed an innovative transmitter node, designed to wirelessly communicate data from a variety of existing sensors over the internet, which can be interpreted in real time using sophisticated data analytics software. Trials are underway with the leading contractor to test the node’s ability to transmit data from temperature sensors embedded in concrete when it is curing to gain a more accurate real-time picture of when formwork is ready to be struck. 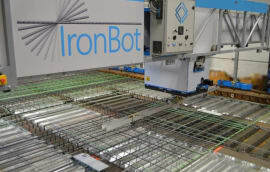 If successful, Converge claims the technique could radically speed up the construction process as well as free up engineers to focus on more important tasks. Raphael Scheps, co-founder and chief executive of Converge, told BIM+ how it works: “Concrete maturity (ie strength) is gauged by measuring its temperature over time, which was previously done either by crush testing samples in the lab, or by using embedded sacrificial temperature sensors in concrete. The trials will involve stress testing the nodes as well as parallel testing, comparing results gathered wirelessly with those recorded manually using existing techniques. Converge says its node is very power efficient, able to run several years on a single battery and transmit even in the harsh conditions seen on many construction sites. It also runs on a low radio frequency, of 868MHz, which unlike wifi or Bluetooth networks, should enable uninterrupted transmission through concrete and steel. 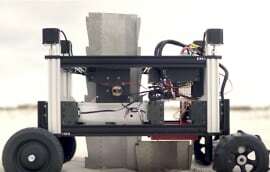 Scheps says the concrete testing technique could be enhanced in future by using predictive analytics. For example, data from the sensors could be combined with the weather forecast to predict how many operatives will be required at a certain time to strike a slab. Converge is also exploring the potential benefits of web-enabling other sensors used on construction sites, such as those used to measure pressure on retaining walls, noise and vibration levels, or dust created by construction machinery. “It’s all about bringing more data-driven decision making onto construction sites and making sites smarter and able to predict things,” he says. 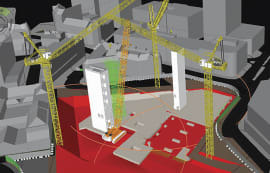 This construction vision of the Internet of Things could also radically extend the capabilities of BIM, he says, by adding data feeds from almost any sensor into BIM models to provide a real-time visualisation of a construction site as work progresses. Sheps met Converge’s co-founder Gideon Farrell four years ago while both were studying physics at Cambridge. 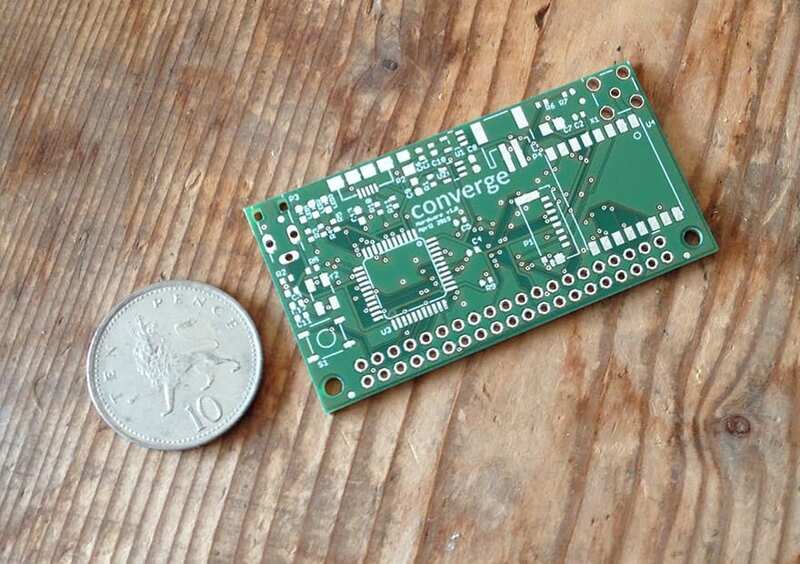 Although the pair have no background in construction, they “stumbled upon” a number of sensing problems in the industry and subsequently launched Converge, supported by a £10,000 grant from a London-based incubator for technology entrepreneurs. The firm has now expanded its team, hiring a software engineer and a mechanical engineer, and is currently going through a second round of investment. 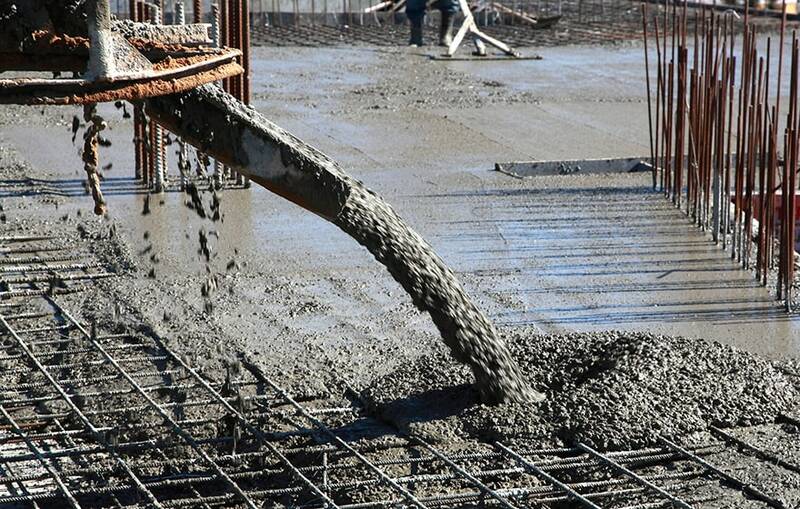 Concrete is the most used construction material relying on lots of variables. By eliminating the unknowns and "rule of thumb" that has evolved over the many years, this system will no doubt improve efficiency and take our industry forward. In my current work environment where we pour perhaps more concrete than any company this innovation could seriously benefit. “It’s all about bringing more data-driven decision making onto construction sites and making sites smarter and able to predict things,” he says. -- Good point. It is definitely about the convenience it could bring in the overall process of the construction. Another thing that can be added is the RFID tag, which could help in keeping track of all the construction items. 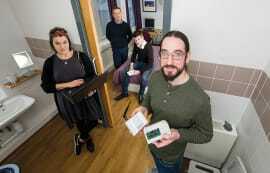 The Article give nice information about Internet of Things. Thanks for sharing the information about it.